Welcome to the Spectator GO! program tour. On this page you find some screenshots which give you an idea of some of the functions of the Spectator GO! software. Define the subjects you want to observe. Define the behaviors you want to acquire. For each behavior you can define wheter it is an event or a durational behavior and wheter it is interactive or not. 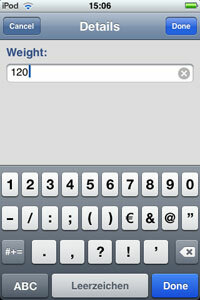 You can also define additional input fields (modifiers) for each single behaviour. The following figures show screens during the data acquisition. Subject M_1 is sniffing. In this configuration, sniffing is defined as an interactive behavior. See next figure. 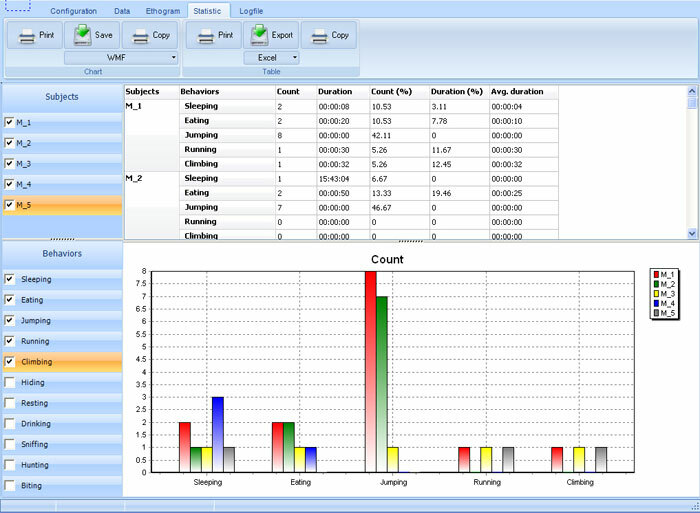 If an interactive behavior is activated, a pop up window with a list of the other subjects appears and you can select the second subject involved in the sniffing behavior. 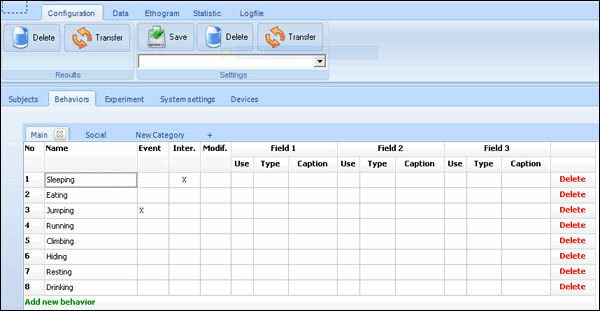 More examples of data acquisition scenarios: Use Spectator GO! 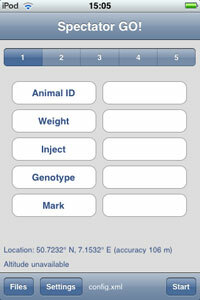 to collect animal data. additional input for each parameter. When you open a data file on the computer, you get statistics for all data you acquired. 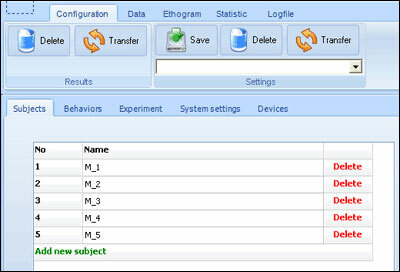 You can check and uncheck each subject and each behavior for a detailed look on your data. Of course all data can be exported in various file formats. 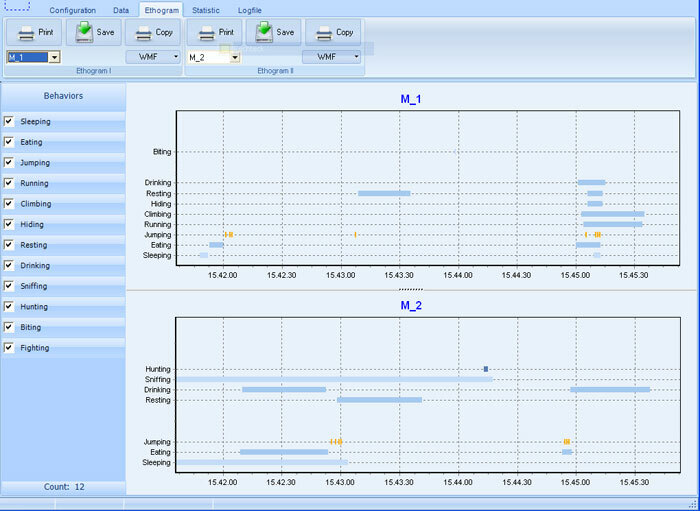 A time chart provides a great overview of the data and makes it very easy to see what happend during the observation. SpectatorGo! takes advantage of the built in GPS tool in the iPhone and the W-LAN access-point based navigation of the iPod. For each logged behavior the geographical position at its start time is saved. To use Google maps in the desktop software, internet connection is required. 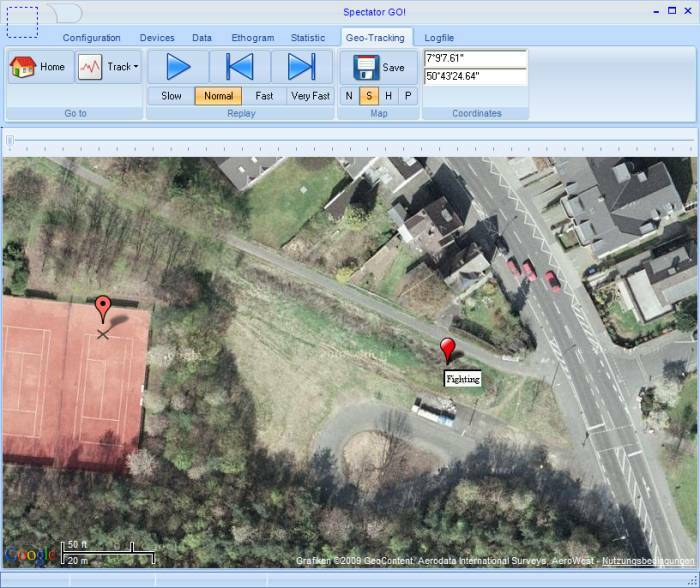 Geo-Tracking functionalities are plain and easy to use. Results can be displayed in a static view, all at once with markers on the map. Another way is to replay the chronological succession of scores to watch a dynamic result visualization.